August in Washington can make you feel like the world is actually grinding to a complete halt. It's hot, seemingly everyone is out of town, and you've already seen and done all the cool new summer stuff in town — and that's exactly why the MidCity Dog Days sale gets us so pumped. 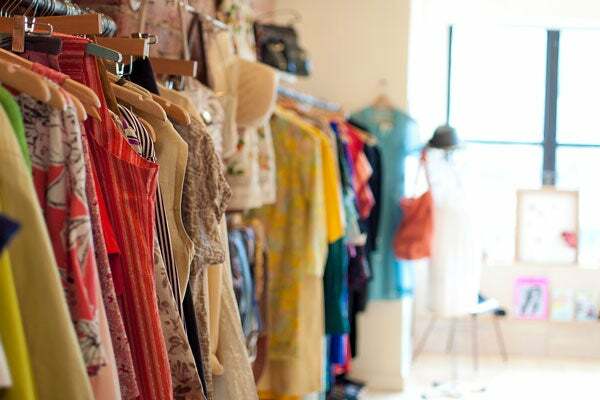 Next weekend, some of our favorite shops and venues along 14th and U streets offer up special discounts, sidewalk sales, and more to help break up the summer doldrums, and it's an ideal time to scoop end-of-season wares for a song. Our picks for what to hit? Studio Theatre's garage sale on Saturday morning is a can't-miss. Pick up rad vintage and new clothing, furniture, home decor, and accessories as the theater clears out stock from past productions. Then, head to Treasury (hit the $5 rack! ), Redeem, Lettie Gooch, Current Boutique, and Legendary Beast to score some majorly discounted wares. Head back on Sunday for the DC Flea, a monthly pop-up market which is going down at Blackbyrd Warehouse. If that's not the perfect weekend agenda (with time built in to plan ahead for brunch and post-shopping cocktails), we don't know what is. When: Saturday, August 4, and Sunday, August 5. Where: Participating business are located in the 14th and U Street corridor. Visit MidCity Dog Days for more information.